Foreword: Recently on the WKOG podcast, Vanessa Beeley, Cory Morningstar and Forrest Palmer discussed Syria serving as a template for coming interventions. Here it must be noted that Libya was the template for the Syrian intervention (invasion). The imperial “experiment” in Syria is still underway. The same process of establishing a shadow government and duplicate organizations and institutions named after the authentic, to obfuscate and confuse, was part of the Libyan war. Today the struggle continues as the Libyan people’s voices are literally being drowned out by those of foreign nations, the UN and NATO. There is a foreign-appointed and instated regime in Tripoli which, while unrecognized in Libya, has the backing of the UN, NATO nations and many other countries that approved the Vienna Communique (including Russia). Today, the United States placed da’esh affiliates in Libya, Saudi Arabia and Yemen on a terrorist black list, however, this maneuver is profoundly deceptive. The US is not interested in fighting terrorism. The US is the most notorious creator and purveyor of terrorism in the world. Any threat to their agenda is given the “terrorist” designation. As with their abuse of “R2P” and “humanitarian intervention”, labeling an organization “terrorist” is the first step towards manufacturing consent for aggression against that group or nation. The US conflates terrorists with legitimate resistance movements which actively fight terrorism and imperial occupation. Their juxtaposition of terrorists (counter-revolutionaries) and legitimate revolutionaries creates tremendous confusion. Numerous Stratfor-sourced reports on Libya have erroneously claimed that the Green Resistance aligned with da’esh, when the truth is that the Green Resistance have always, without exception, opposed all factions of political Islam and have consistently fought against them, regardless of their name, because they understand that they all represent the same threat to Libyan security and sovereignty. 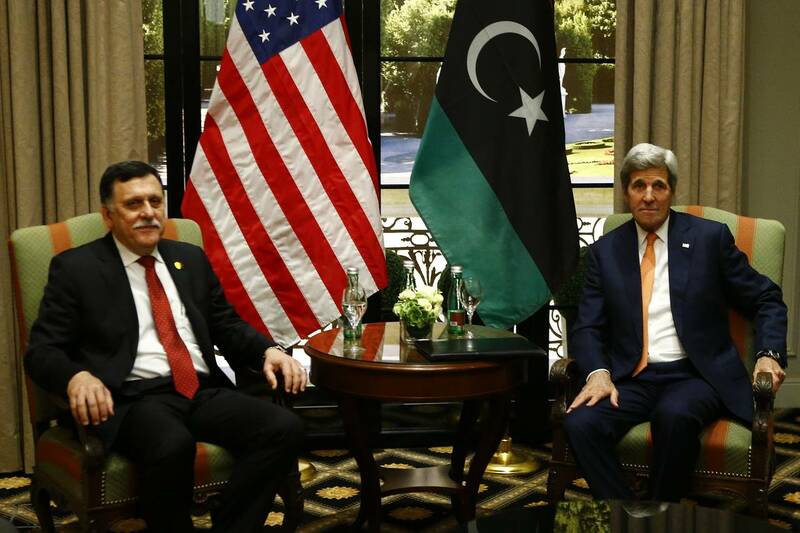 With the US supplying arms to Libya’s foreign-created, foreign-imposed “unity government” and their Libya Dawn “Presidential guard”, they are in fact arming terrorists and depriving the legitimate Libyan National Army of the support necessary to successfully defeat terrorism in Libya. As in Syria, the US continues its policy of arming extremists while overthrowing legitimate governments. The US-Saudi coalition have murdered tens of thousands of civilians in the name of liberating Yemen from al Qaeda, while destroying democracy and attempting to crush the legitimate Houthi resistance to Saudi aggression. In Libya, the US and its allies demonstrated the depths of hypocrisy through the instatement of the “unity government” and the creation of the “Presidential guard”, effectively placing terrorists in power and then arming and funding terrorist proxies to protect them. The following commentary succinctly summarizes and exposes the machinations behind the imperialist plot. We refer back to the meeting held in Istanbul under the auspices of Turkish intelligence, attended by a number of [terrorist] militia leaders, including Abdul Rauf “attribution battalion”, Abdul Ghani Alkkla, “junta chief Abu Salim” and Khaled al-Sharif,” the Libyan Islamic fighting group, “and other military leaders from Ahalboss battalion, brigade-Mahjoub internalized within the dawn of Libya militias in the capital Tripoli. Khaled al-Sharif introduced this project [creation of the Presidential Guard] during that meeting, pointing out that the “National (Presidential) Guard” will consist initially of 10 thousand members from extremist militias, [terrorists] assigned to secure the capital and its suburbs in order to facilitate the work of the…government headed by Fayez. Those militias have been under the protection of the Presidential Council since their arrival at the Tripoli naval base at the end of March. Although this decision [to create the Presidential Guard] was allegedly based on the political agreement signed in the Moroccan city of Skhirat on December 17, 2015, […] the decision violates the Skhirat Convention, which explicitly refers to the dismantling of militias [terrorist militias] and their removal from Tripoli and other Libyan cities…the OS abused this agreement to serve their own agenda and the interests and schemes of the Qatari Turkish axis. The Libyan National Army is a stumbling block to the fulfillment of their agenda…It is [the] Muslim Brotherhood strategy to form a national guard in alliance with Turkey and Qatar, effectively replacing the legitimate Libyan National Army. Prior to the above-mentioned meeting, Martin Kobler met with al Qaeda commander Abdel Hakim Belhaj and other extremist leaders in Istanbul on March 30. *assign terrorists the task of guarding them. A government no one in Libya wants. A government that will make Libya a far more dangerous country. A government that will pose a greater threat to neighboring nations. This treacherous act is no different than if the Islamic caliphate itself had raised its black flag over Tripoli while the United Nations and leaders of over 20 countries meeting in Vienna bowed down before it and all the horror it represents!! !